We’re down to the Quarterfinals of YCS Salt Lake City! 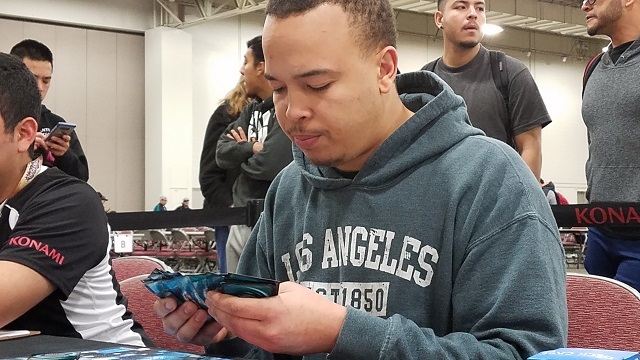 Ayinde Ross is the last Dinosaur Duelist left in the tournament. He’s using the new form of Dinosaurs which plays more like a combo Deck, mixing with a variety of Zombie and other cards to be able to make some huge opening plays. 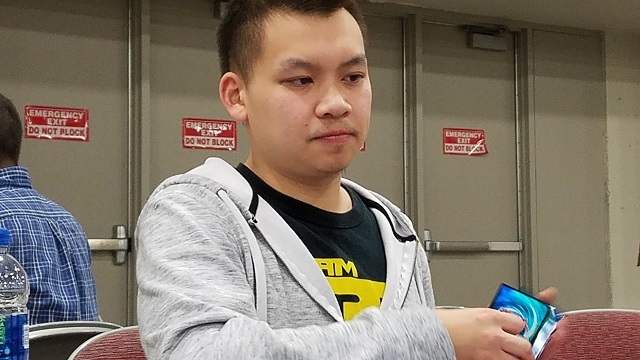 He’s up against Elvis Vu, one of the True Draco Duelists left in the tournament. Vu just won his Feature Match a few rounds ago, but can he do it again? It’s time to Duel! Ross won the die roll and chose to play first. He started off with Lonefire Blossom, getting another Lonefire, then the third, and finally Predaplant Ophrys Scorpio. He used its effect, discarding Mezuki to Special Summon Predaplant Darlingtonia Cobra. It added Brilliant Fusion to his hand. He Xyz Summoned M-X-Saber Invoker, which Special Summoned Heroic Challenger – Thousand Blades. He used Invoker and Thousand Blades to play Missus Radiant. Brilliant Fusion came next, fusing Performage Trick Clown and Gem-Knight Garnet from the Deck into Gem-Knight Seraphinite. Ross Special Summoned Trick Clown, then Special Summoned Thousand Blades. He Normal Summoned Souleating Oviraptor, sending Overtex Qoatlus to the Graveyard, which added Double Evolution Pill to his hand. He used Missus, Thousand Blades, and Seraphinite to play Curious, the Lightsworn Dominion! Curious sent Fairy Tail – Snow to the Graveyard, then also sent Pot of Desires, Brilliant Fusion, and Shiranui Solitaire to the Graveyard. Ross banished Mezuki to Special Summon Solitaire, which then Tributed itself to Special Summon Uni-Zombie. 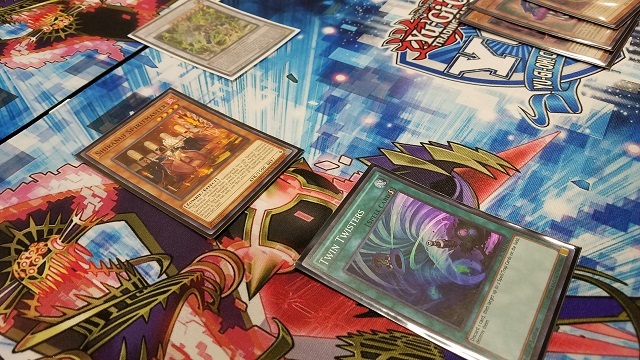 Uni-Zombie sent Ash Blossom & Joyous Spring to the Graveyard to boost its own Level by 1. Uni-Zombie and Oviraptor were used to play PSY-Framelord Omega, which was banished to also banish Imperial Order from Vu’s hand. Ross played Gold Sarcophagus, banishing Shiranui Spiritmaster. He Special Summoned Snow from the Graveyard, banishing Ash Blossom and Solitaire in the process; Solitaire Special Summoned Spiritmaster. He combined Spiritmaster, Snow, and Trick Clown into Bujinki Amaterasu, which Special Summoned Mezuki in Defense Position. Ross played Double Evolution Pill, banishing Missus Radiant and Overtex Qoatlus to play Overtex Qoatlus from his Deck. Vu began with a hand of Pot of Duality, Skill Drain, Disciples of the True Dracophoenix, Upstart Goblin, and Amano-Iwato. Ross used Amaterasu to add the banished Ash Blossom to his hand. 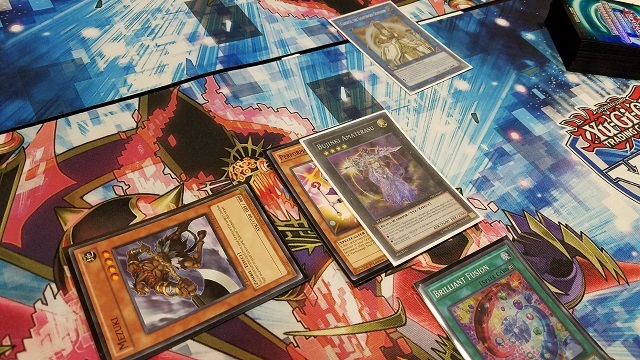 Vu played Amano-Iwato, then Upstart Goblin to draw True Draco Apocalypse. He played Pot of Duality, which revealed Dragonic Diagram, Pot of Duality, and… Pot of Duality. “Hmm…” Vu loudly wondered, before taking Diagram. He activated it, Set Apocalypse, and destroyed it with Diagram. He added True Draco Heritage to his hand, and Apocalypse destroyed Overtex Qoatlus. Vu played Heritage and drew Majesty Maiden, the True Dracocaster. He thought a moment, and conceded – Ross had just too much built up to overcome! Vu played first this time, with a hand of Majesty Maiden, Imperial Order, Anti-Spell Fragrance, Ash Blossom, and Disciples. He Set all the Spell & Trap Cards. Vu flipped Anti-Spell Fragrance in Ross’s Draw Phase. Ross had his Trap Eater munch on it! He Normal Summoned Giant Rex as well, and attacked with both monsters. In Main Phase 2 he Synchro Summoned PSY-Framelord Omega. Vu drew Pot of Duality and played it, revealing Solemn Judgment, Skill Drain, and Heritage. He took Heritage. He Tributed Disciples to play Majesty Maiden, then played Heritage to draw Strike of the Monarchs. He Set it. Ross played Shiranui Spiritmaster. Omega attacked Majesty Maiden, but Vu used Strike of the Monarchs, Tributing Maiden to draw Pot of Duality. Omega and Spiritmaster attacked directly. Ross Set one card in his back row. Vu drew Card of Demise! He played Pot of Duality, adding Dragonic Diagram to his hand. He activated Diagram, Set Card of Demise, and used Diagram’s effect. Ross Chained Twin Twisters, discarding Predaplant Darlingtonia Cobra and targeting Card of Demise and Imperial Order. Vu flipped Imperial Order to negate Twin Twisters, and Ross Chained Omega to banish Ash Blossom from Vu’s hand. With Imperial Order on the field now, Vu couldn’t use Card of Demise – he offered the handshake! Ayinde Ross is going to the Semifinals with Dinosaurs!